Right now my daughter is infatuated with DC Super Hero Girls. She's always loved super heroes, but these girls are totally awesome!! This series of webisodes feature iconic Super Heroes like Wonder Woman, Supergirl, Batgirl, Harley Quinn, Bumblebee, Poison Ivy, and Katana at Super Hero High, navigating all the twists and turns of high school with superpowers. 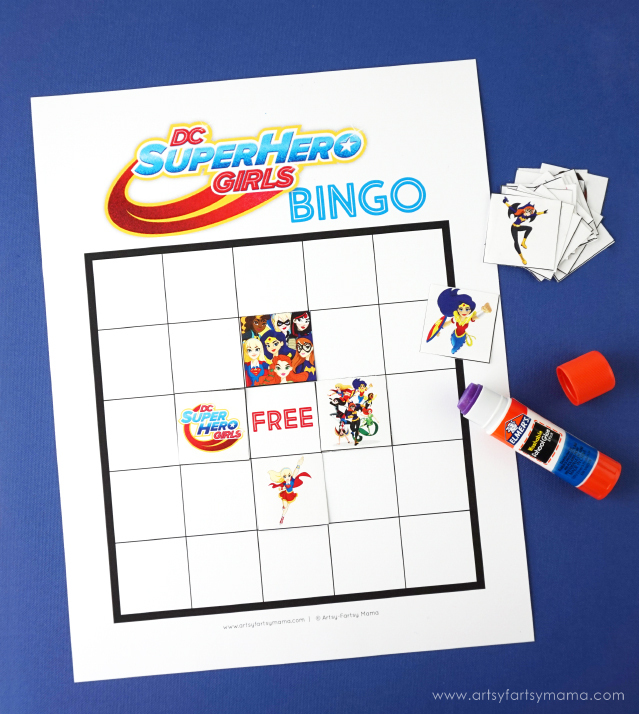 For those who also love DC Super Hero Girls, I've created a free printable DC Super Hero Girls Bingo for you to play and celebrate your favorite heroes! 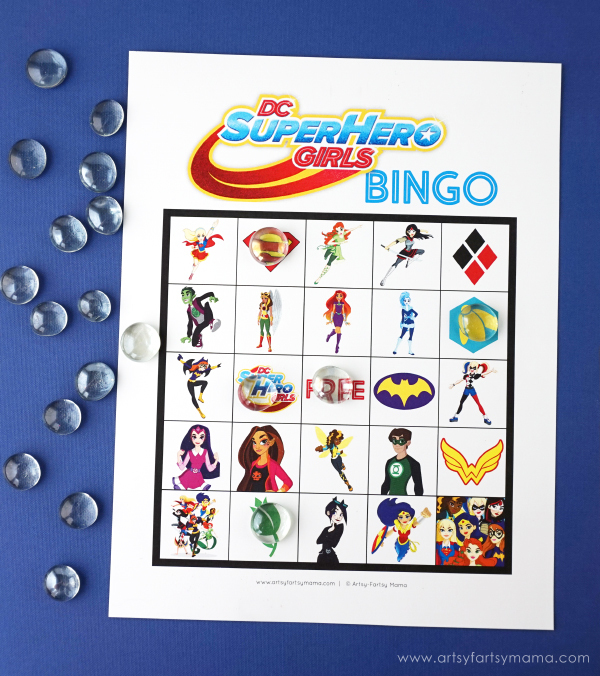 DC Super Hero Girls Bingo includes all of your favorite characters, including Wonder Woman, Supergirl, Batgirl, Bumblebee, Harley Quinn, Poison Ivy and Katana as well as a few new ones you might not recognize yet! The bingo set includes ten bingo cards, so it's easy to print and use for parties. It's fun for every age to play, and the calling cards include the names of the characters in case you don't know who they are. The blank set works a little differently. You get one bingo card with empty spaces (except for the "free" spot). Then print and cut out the bingo pieces so you can assemble the bingo cards yourself! Just glue the pieces in place and you're ready to play! This is a great option for little hands that want to be creative, or if you have a larger group of people and don't want multiple cards that are the same. The blank bingo set includes all the same characters as the full set, but you can create your own bingo card setup. 2. Give each player a bingo card and markers (or put your own card together with the blank set). 3. Have each player put a marker over the free space. 4. Have one person choose a calling card and say it out loud. Each player will cover that item on their card with a marker. 5. Once a player has 5 squares covered in a row (horizontally, vertically, or diagonally), call out "BINGO!" and win the game! To lengthen the life of the prints, I would recommend printing the bingo cards and calling cards on cardstock. All sets are 8.5x11 inches and combined in a single PDF format. Who is your favorite DC Super Hero Girl? You are so awesome! Thank you so much for the Bingo game!